Clients appreciate Tom Hennessy’s clear, direct approach to handling litigation and employment and labor matters. His broad range of experience in front of state and federal courts and agencies is complemented by his extensive knowledge of electronic document management and discovery. Litigation. Tom represents clients in complex defense litigation. He has worked with large corporations as lead counsel in an array of disputes, including product liability lawsuits, class actions, land-use issues, shareholder and contract disputes. He also defends construction claims on behalf of contractors in court and arbitration. He is experienced in handling significant depositions and travels extensively to conduct those in asbestos-related litigation. Tom has been lead counsel on numerous appeals to the Appellate Court of Illinois and to the Court of Appeals for the Seventh Circuit. Employment & Labor. Tom advises clients on employment and labor issues and handles employment discrimination claims based on federal and state statutes. 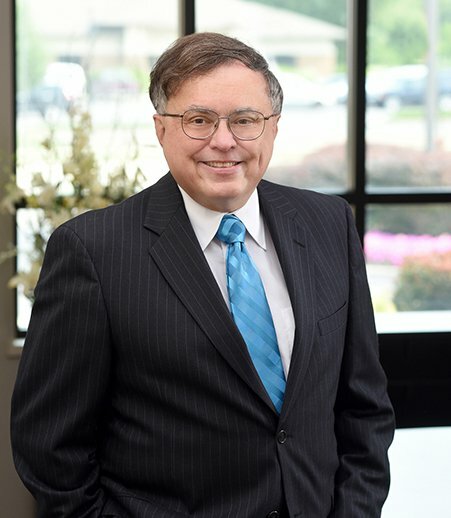 He has represented clients in employment matters before agencies including the National Labor Relations Board, Illinois State Labor Relations Board, Illinois Educational Labor Relations Board, Equal Employment Opportunity Commission and Illinois Department of Human Rights. Extensive experience with technology gives Tom insight into how to counsel clients on data recovery and analysis. Particularly in cases related to employment law, he advises clients on the best way to preserve evidence on computer hard drives for potential review. A retired colonel in the Air Force Reserve, Tom previously taught at the Air Force Judge Advocate General School on subjects including electronic document management and discovery. Additionally, he was an advisor to the Air Force Judge Advocate General Corps on information technology policy, including IT training programs for Air Force lawyers and paralegals. He is an FCC-licensed amateur radio operator.